It is just plain wrong that you spend $1000’s on insurance each year and you are still confused on what is covered. Get the confidence you deserve. You will know what is covered and what is not. You will only pay for the coverage you need and not for something you don’t. Your insurance confusion will stop. Our promise is you will understand your insurance coverage. We will not cut coverage just to get you a lower price. Whether you decide to accept our proposals or not, you will no longer be confused about your insurance coverage. Tell us you are ready to stop your confusion today. Our current owner, Richie Buchanan, began his career as an agent with Marley Insurance Agency, Inc. owned by Tom & Jane Marley in July 2001. Tom and Jane started the agency in 1986 when they purchased Mount Insurance Agency from Paul Mount. The agency operated under the name Marley-Mount Insurance agency for 5 years, then dropped the Mount name. In 2007, the agency became a member of the ISU Agency Network. The ISU network is an aggregator of independently owned insurance agencies across the country. Member agencies are able to improve their strength by combining premium size, access to insurance companies and sharing of knowledge. By joining ISU network, the agency was required to brand the agency with the ISU name. Marley Insurance Agency, Inc then began doing business as (DBA) ISU Insurance and Investment Group. That same year, Richie Buchanan became part owner in the agency. In 2010, Marley purchased Young Insurance Agency. Young’s prior agency lineage includes, Merry Insurance Agency, Clover-Jones Insurance, Austin-Shields Insurance, and Shields Insurance. In 2012, Buchanan purchased the remaining shares of the agency from the Tom and Jane Marley to become the sole owner. In October 2013, the agency acquired Martin Insurance Agency, Inc. Martin began in 1905 and was a 4th generation family owned agency at that time. The 2 agencies were combined into the Martin office location on the south-side of the square in Scottsburg where it still remains. 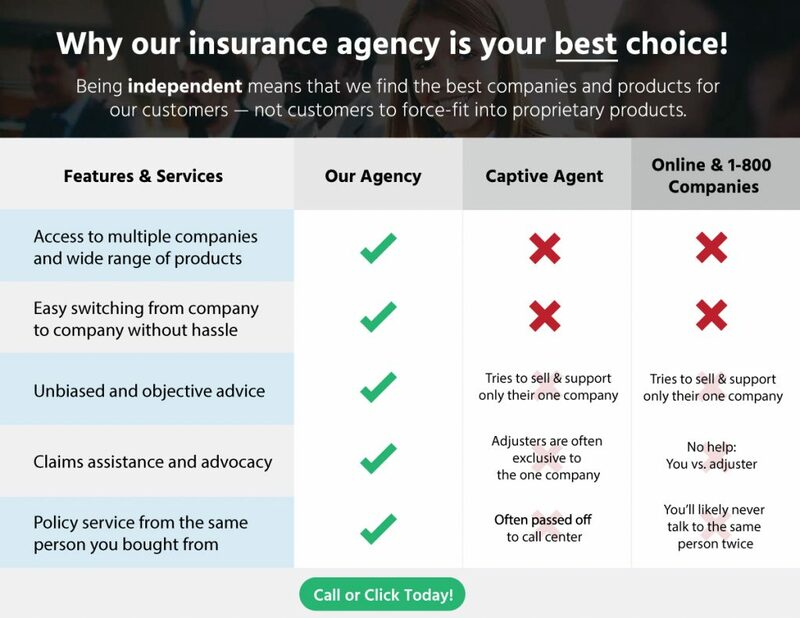 Unlike a captive or direct insurance company who only offers one option, our agency is 100% independent of any one company. Many insurance consumers don’t fully understand just how important that really is. If you’d like to get started with our 3 Step Process, we’d be happy to help you any way we can. Simply complete the fields below to get started online in a matter of seconds. ISU Insurance and Investment Group is a local, privately owned independent insurance agency capable of handling all of your insurance needs. Our independent ownership allows us to provide you with a high level of personal service and to deliver the market’s best value through the strength and resources of a national network. Through the proprietary ISU One Responsible Source™ concept, business owners and individuals have the convenience of purchasing every aspect of their insurance needs from us, a single point of contact.